We are conveniently located in the same shopping center as Albertson supermarket in Laguna Beach. There are plenty of parking spaces throughout the shopping center and Albertson supermarket has its parking spaces underground. Welcome to O Fine Japanese Cuisine, the restaurant serves contemporary Japanese cuisine and traditional sushi in an elegant and comfortable setting. Explore beyond the sushi and sashimi such wonderful dishes as Chillean Sea Bass Misoyaki, Boneless Short Rib or Baked Lobster Tail. A must try is our signature Sashimi Sampler which has Halibut with truffle oil, Salmon with garlic ponzu, Albacore with crispy garlic, Peach Scallp, Tuna with sesame dressing and crispy onion, and Yellowtail with jalapeno. There is something for everyone from our one item entree to a variety of sushi, sashimi and fusion cuisines. We are conveniently located inside the Albertson shopping center with plenty of parking spaces for local residents or visitors. Please join us for the wonderful, exciting, O experience. We look forward to serving you soon! Very Nice !! Thankyou ! Very creative sushi menu. Beautiful presentation and delicious. Excellent service, food and atmosphere. Small intimate restaurant. Excellent addition to Laguna Beaches wonderful restaurants. Everything is fresh, made to order, so tasty. This is a can’t miss, you will definitely enjoy everything. Incredible value and great food. 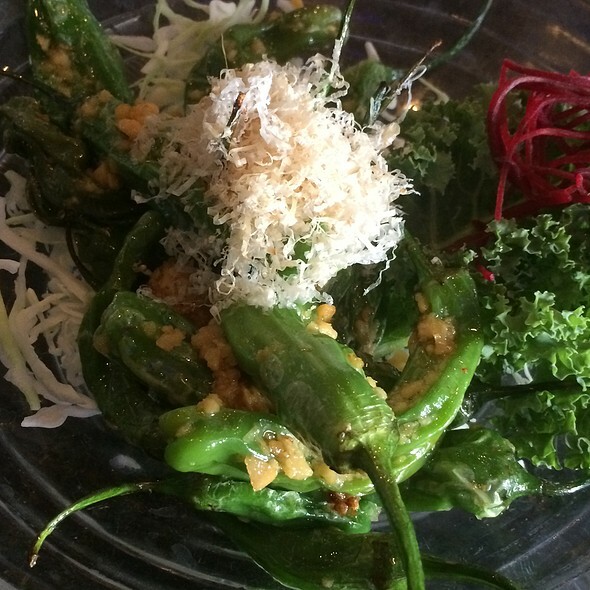 The garlic edamame was delicious! We love this sushi restaurant. Small but such great sushi! Located in a strip mall next to Gelsons, this restaurant was really busy! There weren’t enough wait staff Maybe bc of the holidays. The fish was fresh and well prepared. Some of the sides weren’t great. The cucumber salad had an odd sauce. The miso soup was cool. We didn’t love it. This has been our go to place since it opened. At one time we went their an average of once a week. Always super fresh the sashimi sampler is my favorite on the menu. I liked the atmosphere better without the TV’s in the main dining room but the vibe is still upscale for a strip mall location. The sashimi sampler was really good! We had a variety of rolls, all of which were terrific. The food was outstanding and the service was even better. We eat a lot of sushi and we were impressed. Also love that they sell half rolls, so you can try more items. Horrible . Misrepresentation. Fish didn’t taste fresh. Disappointing !!!!! This place has really gone downhill since I lived in OC five years ago. Service was poor. Feel of the restaurant was cheap overall. Quality of the fish was poor. Particularly blue crab and sea urchin. We got sick off the Uni. Love going to this place when we are in Laguna! So fresh and amazing. Better than anything I've had in fancy LA sushi places. 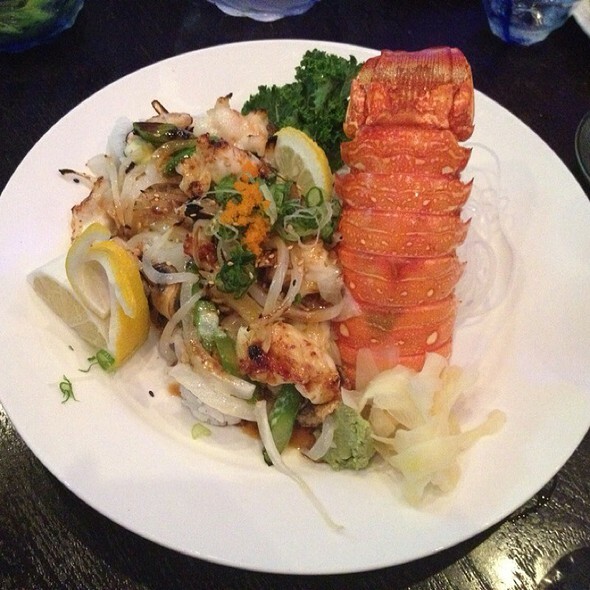 High quality fish, combined with creative dishes made for a great meal. I would definitely go back if I am in the area. Awesome quality food. Live Shrimp, Kambachi and Toro were outstanding. I wish the music was a little bit louder, and because we had no reservation and walked in with 9 people... I felt the service from the server was a tad slow. Chefs were amazing with their food presentation. Rolls too saucy. Too much going on. Good sushi but not the best. My boyfriend and I went to O for New Year's Eve. Made an early reservation at 5:30 so as to avoid the holiday crowds. I had asked for the sushi bar on my reservation but noted that no one was at the table by the window although it had a "reserved" sign on it. The hostess and waiter were happy to accommodate us and we got the prime spot. Service was excellent and friendly. The sushi was suburb...and we ordered quite an array...new favorite was the soft shell crab roll. Everything was fresh and excellent. It was the perfect NYE for us! I miss the Kung Fu Girl Reisling, however. New vendor doesn't supply it. Thanks to staff for such an enjoyable evening!!! Great food. Highest quality - displayed beautifully. The service and food were very good. But I felt that the prices were quite high, compared to other restaurants with similar menus. Great place to savor the designer sushi selection prepared by the master sushi chef. We had a great deal getting 2 free lobster tail and a 15% discount during our Thanksgiving dinner with our order of more than $100. Sushi was very fresh and extra ordinarily prepared. 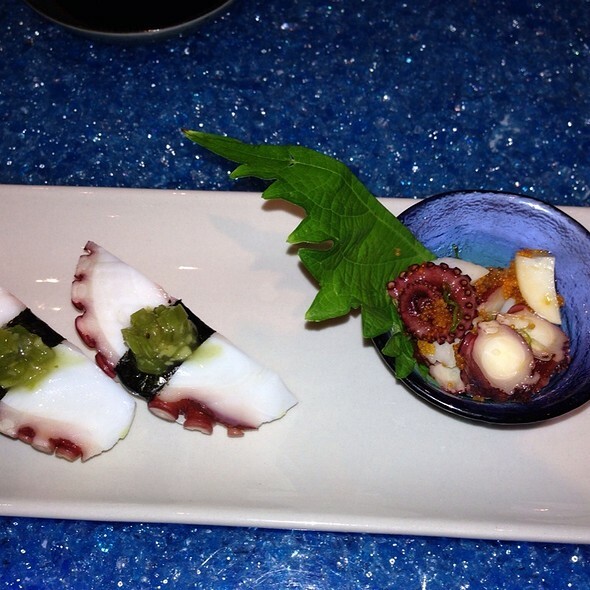 This is not your everyday sushi that you get from so-so Japanese restaurants. 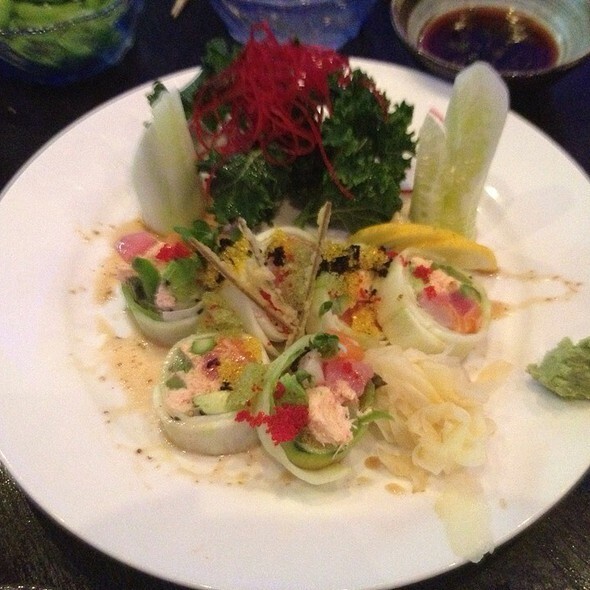 Be prepared to taste very exciting sushi selection that is out of this world. Well worth the additional premium that you pay and great quality. O Fine Sushi had the best quality fish I have eaten outside of Japan. The hamachi, salmon and toro were all delicious and very, very fresh. I highly recommend thei sushi. This is one of our favorite restaurants. We love their food and service. Wonderful sushi. Nice ambiance. Great service. Drove 75 miles. Worth it!!! Wonderful Sushi ... also great Ramen. The only reason not to rate higher was that it was very empty, but could have been due to the late hour. A bit pricey for the size of the sashimi portion. The soft shell crabs roll was the best! We where staying at the magnificent hotel across the street and wanted to try other local restaurants. We found O Fine Japanese to be a good local sushi bar. I really enjoyed the diversity of the signature sashimi sampler. After paying very high prices across the street, I found this sushi bar reasonably priced.